Bellfield Brewery, the UK’s first dedicated gluten-free microbrewery, has raised £430k cash via equity which it will use to create new jobs and take new products and formats to market. Bellfield had previously launched a crowdfunding campaign on CrowdCube in 2015 to set up the brewery itself. With the money raised from this endeavour, the company launched in March 2016 – the brainchild of Alistair Brown, diagnosed as coeliac in October 2012, and Giselle Dye, whose husband Robin Baillie is also coeliac. The most recent investment was led by syndicate Equity Gap with support from the Scottish Investment Bank. The fundraising effort was aided by corporate finance partner, Rod Mathers, and his team at Henderson Loggie Chartered Accountants, and also associate, Jo Nisbet, and the Corporate team at law firm, Harper Macleod. 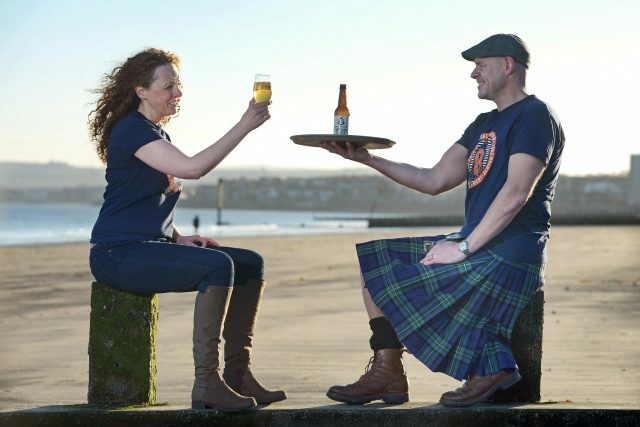 The Edinburgh-based brewer is set to create ‘a number of new jobs, allowing the existing operational team to commit on a full-time basis and strengthening the sales team’. It has also announced that the first senior appointment will be a sales manager to increase Bellfield’s sales and visibility in the UK on- and off-trade. Bellfield gain UK-wide distribution in August 2016 with deals with Scottish-based distributors and wholesalers, including Craft Beer Clan Scotland, Gordon & MacPhail, Inverarity Morton, Food and Drink Hub for Scotland and Green City. Unlike most other gluten-free brews produced, Bellfield does not ‘de-glutenise’ its beers with enzymes but has instead adapted its brewing process and recipes. In October 2016, the microbrewery announced that it was trialling a new gluten-free barley from Australia – a variety that has taken 13 years to develop. Bellfield believes that it will expand in tandem with the market, quoting market research and insight specialist Mintel’s predictions that the market (free-from food and drink) will grow to £673m by 2020. According to the Global Gluten-Free Beer Market – Growth, Trends and Forecasts (2017-2022) report, the global gluten-free beer market will grow at a company annual growth rate of more than 13.5% over the period 2017-2022. Aside from the UK, Bellfield has shipped pallets of beer to wholesalers in Singapore, Malta and Switzerland.